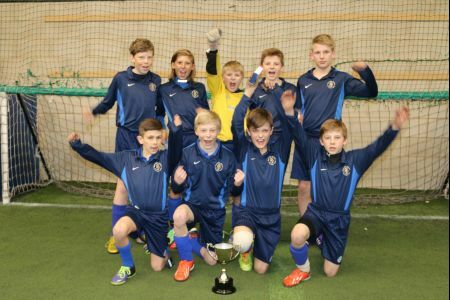 After the traditional curtain-raiser of the National Deaf Schools Final in early February, the ESFA Competitions Department hosted its second National Final of the season, the 5-a-side Indoor Finals sponsored by Munich Trophies. 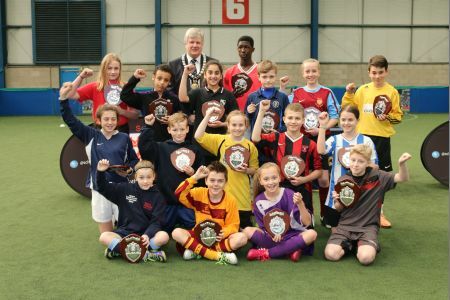 Hosted by the superb facilities at the Derby Soccerdome, 16 teams (eight boys teams and eight girls teams) gathered to contest for the chance to be crowned National Champions. All spectators were treated to an excellent day of football, with all teams acquitting themselves extremely well. The action was fast and frantic, with plenty of goals being scored – as well as some excellent saves from the goalkeepers guarding their nets vigorously. After being split into two groups of four and playing three group games, the top two teams advanced onto the semi finals. In the Girls competition Northfield School & Sports College played South Hunsley School and Wilmslow High School took on St Ivo School. As time was blown on the semi finals, South Hunsley and St Ivo had both won 3-0 and advanced to the finals. In the Boys competition Ian Ramsey C of E School and Bruntcliffe High School played out a cracking semi final, finishing 1-1 at full time, 2-2 after extra time and Bruntcliffe finally advanced 9-8 after a tense penalty shootout. In the other semi final St Aloysius College won 2 – 0 against Torquay Academy to set up a replay of an earlier group game. In the Finals of each competition all four teams played superbly. 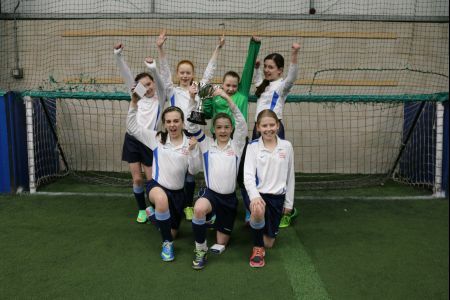 South Hunsley School eventually overcame St Ivo School 2 – 0 after leaving it late for Captain Jessica Park to score twice. The Boys final was also contested superbly with Bruntcliffe High School exacting revenge on St Aloysius College, who has beaten them in the earlier group stages. Bruntcliffe held on to secure a 2-1 win and be crowned National Champions. After such a successful day, we would like to thank all the teams for taking part, the volunteers and Referees who staffed the event and Munich Trophies for their competition sponsorship. To view a full gallery of pictures from the finals, please click here to visit RWT Photography. 27th :: CITV’s Share a Story returns in 2014! 07th :: Bring back halftime Oranges!